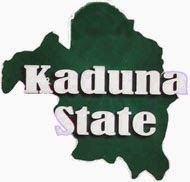 The Kaduna State Government in collaboration with the Bank of Agriculture (BOA) has commenced the payout of N1bn as loans to farmers in the state, gathered NaijaAgroNet. The State government, disclosed it paid the sum of N500m as well as the Bank of Agriculture (BOA), to limit the difficulties being encountered by farmers in accessing loans from financial institutions within its territory. Governor RamallanYero-led administration affirmed to NaijaAgroNet that Kaduna State profitably trained 7,650 youths and women under its SURE-P Skill Acquisition and Empowerment Programme. Also NaijaAgroNetgathered that the government provided Starter Packs and take-off grants worth millions of Naira for the grandaunts from the training. For instance, NaijaAgroNet leant that those trained in poultry were given 100 two-week old chicks, N30,000 for housing, N10, 000 for treatment, N5000 for transport, 8 bags of feeds and N10,000 take-off grants which is sufficient for starters in poultry to commence successfully. Micah Mailafiya who benefitted from the above scheme said "Before I got into this whole thing, I was very worried about getting into the university. I thought that was the only way to make it, until I heard about the government's training programme for young, determined people and I was listed as one of the nine young people from my ward. We were trained, but in my case, I threw myself into it. Today, thanks to the government, I am one of the success stories."